One of the advantages of tank top heaters is that they’re very practical. Unlike their more decorative counterparts (e.g., Thermo Tiki), these no-fuss heaters are the grab-and-go type. You can even take them camping without fear of getting them damaged. 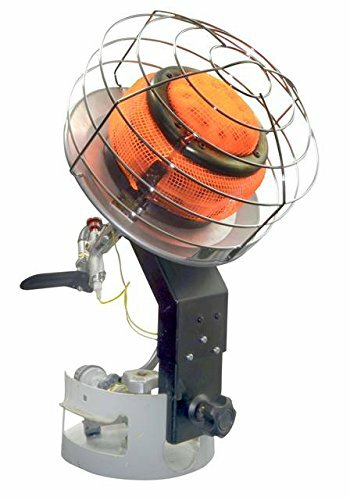 Mr. Heater’s F242540 is one of these tank top heaters. It comes with a 360-degree burner that can produce up to 45,000 BTUs of heat. Is it worth it? Find out what previous buyers have to say about their unit in this Mr. Heater F242540 tank top heater review. In FAQ format, here are some bits of info you might want to know about this propane tank heater. 1. In which places is this heater ideal to use? Mr. Heater categorically says this is for outdoor use only. 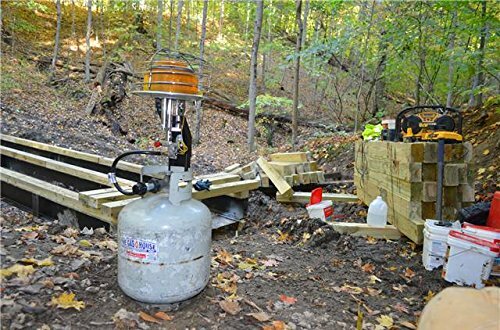 You can use it for your camping and fishing trips, in construction sites, loading docks, sporting events, or in your backyard. 2. Does it come with multiple heat settings? Yes, it does. The Mr. Heater F242540 allows you to choose among 3 heat settings – 30,000 , 36,000 , and 45,000 BTUs. 3. What’s special about the burner? 4. Does it come with a safety feature? Yes, it does. It a tip-over safety shut-off feature. 6. How long does it run on a 20-lb. propane tank? At maximum BTU, it should give you a run time of 5.6 hours. At minimum, it should give you a run time of 9.6 hours. Here’s what previous buyers have to say about their unit. – Heat Output. The general feedback is that the Mr. Heater F242540 “really throws out heat,” to borrow the words of one buyer. It’s also fast to flame up, and according to one buyer, it can attract and kill bugs. Here are the places that previous buyers have reported to have used this heater in: softball dugout, porch during chilly nights, garage, and camping. – Usage. Installation is easy, but one limitation is that it doesn’t come with an igniter. It has to be lit manually. – Construction. 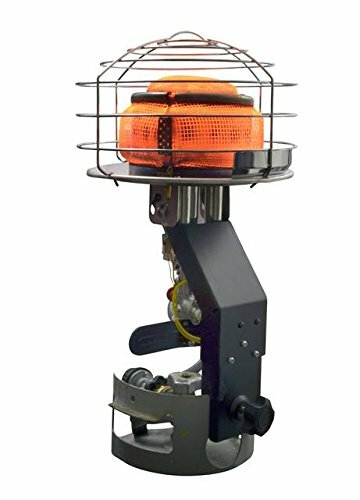 Several people have said that this heater has a solid construction, and it seems to be well made. One person said it’s “well-built.” Note, however, that there were a few people who complained about the quality of their unit, saying that it didn’t function well (or died on them) only a few months/uses. Overall, the Mr. Heater F242540 does what it promises to do. Even on the lowest setting, it puts out a lot of heat that can warm you up quickly. The tilt function to achieve a multi-directional and focused heating does work, and it’s a big plus. Buy the Mr. Heater F242540 here.